The Warehouse is a 20,000 square foot facility stocked by our Sponsors with new, high-quality products. These are made available to local non-profit organizations for a small fee, and are then redistributed to struggling populations in our community. 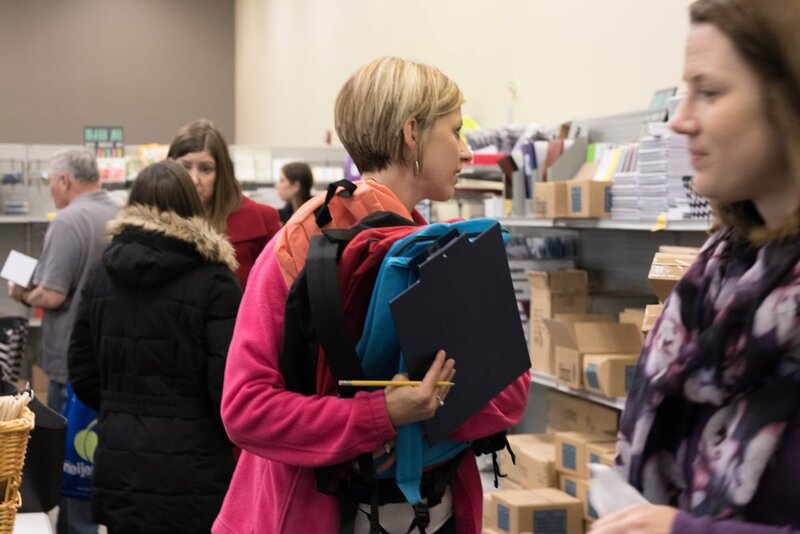 The Teacher Resource Store reduces teachers’ out-of-pocket expenses by providing access to supplies such as pencils, pens, notebooks, copy paper, scissors and glue. At-risk schools can obtain a membership for a nominal fee, and all full-time teachers can then visit the store twice a year to restock their classrooms – at no cost to them personally. 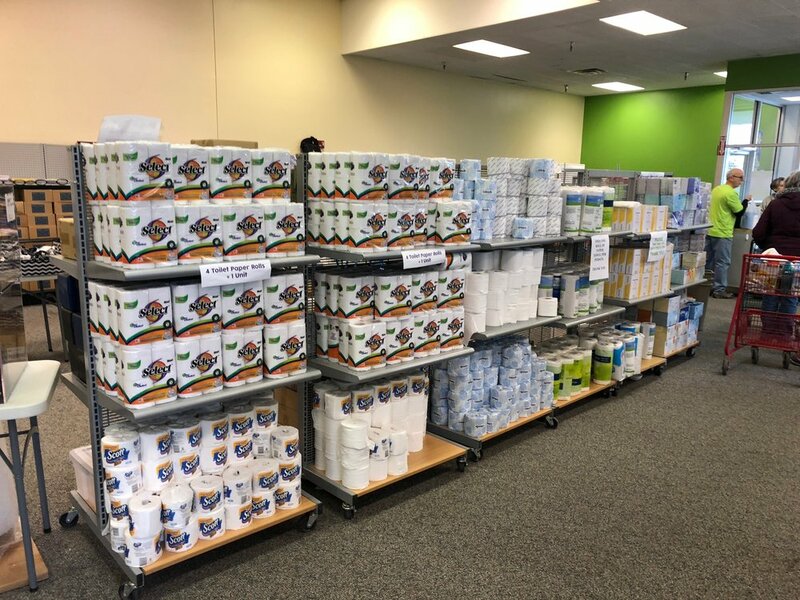 Though it shares space at our site, the Essentials Store is operated by Frontline Community Church. 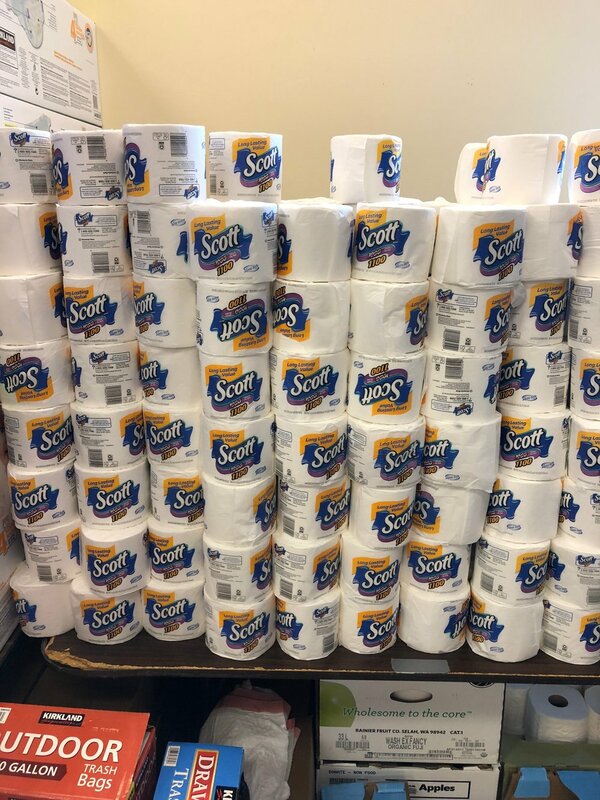 Here, qualifying individuals have access to basic hygiene and cleaning products in exchange for a low membership fee and minimal service hours. For membership information or to volunteer, please visit Frontline’s website.